Get to know some of your favorite pasta shapes better or find a new favorite with this helpful guide. 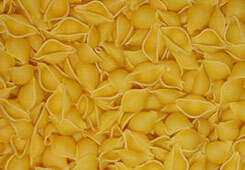 Originally rolled by hand, campanelle lends a beautiful, visual element to just about any dish. 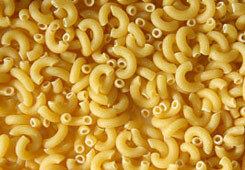 Adults and kids alike enjoy this shape in the American favorite, Macaroni & Cheese. Additionally, because this shape is hollow, it pairs nicely with a variety of sauces. Because of its shape, Fettuccine pairs nicely with full-bodied sauces. This spiral-shaped pasta appears to be two thin tubes twisted around each other, but is actually an S-shaped strand twisted into a spiral. 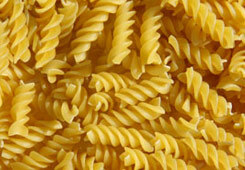 Its twists and spirals give it a refined look while staying al dente. Put a creative culinary spin on your next meal. This shape is popularly used in recipes that require baking. Fillings might include: meat, ricotta, seafood, chicken, or spinach. 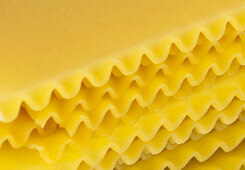 Narrower than lasagna but with similar rippled edges on both sides, the flat surfaces of mafalda match well with sauces used on linguini and fettuccine, and lend a new sophistication to a favorite recipe. Shape: Hollow tubes. Ends are cut at a diagonal so they are pointed. 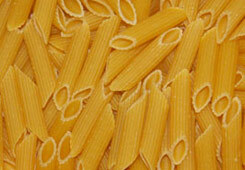 Penne compliments virtually every sauce and is exceptional when paired with a chunky sauce. Penne is ridged and ideal to lock-in flavor. This shape is great for baking dishes, too. 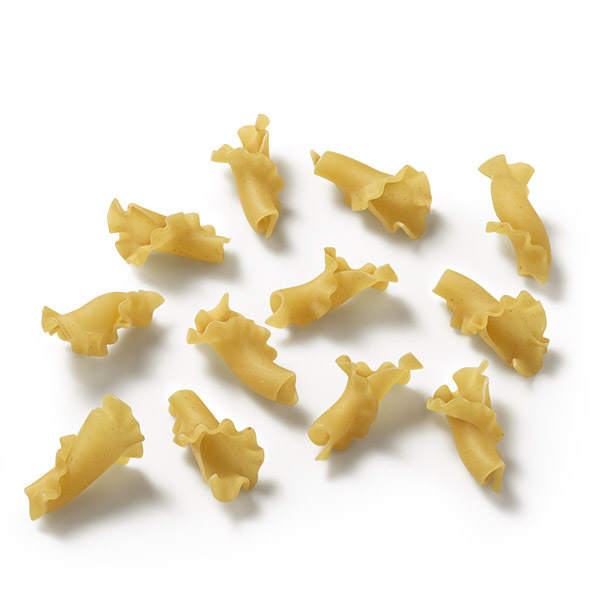 Originating in Northern Italy, this shape pairs nicely with sauces full of flavor. 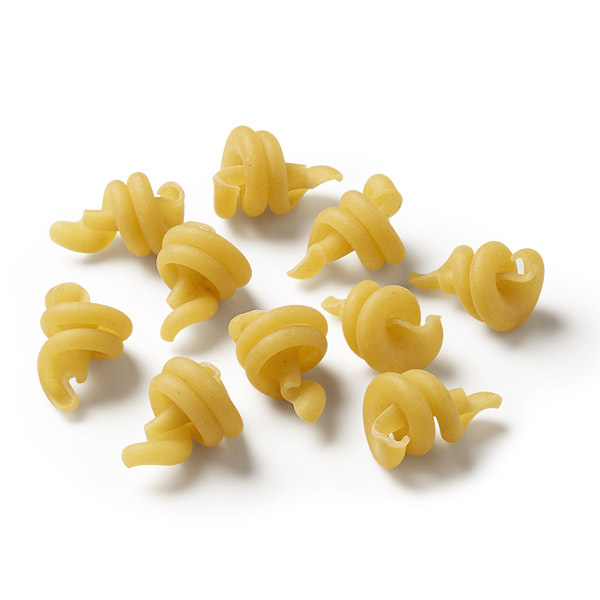 The tight spiral locks-in the flavor allowing the shape to pair with both simple and sophisticated sauces. Children enjoy this fun shape. 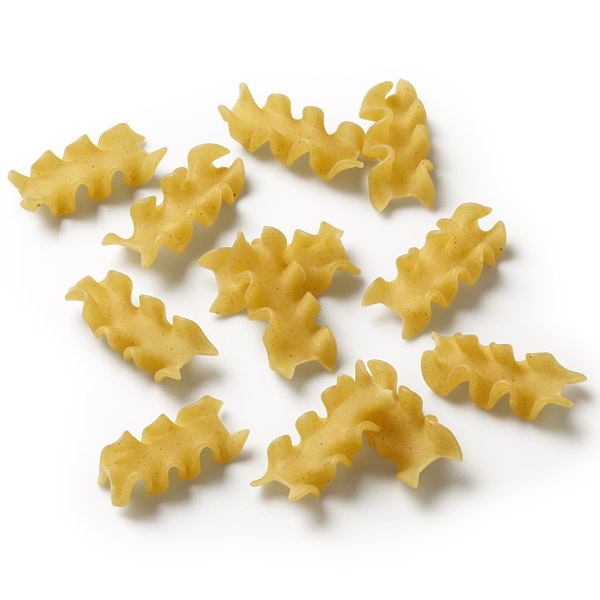 Also, these shapes are great when used in pasta salads. Put a creative culinary spin on your next meal by adding shells to a variety of dishes. Fill large shells with meat, cheese, seafood, chicken, or vegetables. Large Shells are good for baking dishes. Toss mid-sized Shells with chunky sauces. Add Small Shells to soups, pasta salads, or casseroles. Recommended sauce pairings: meat, seafood, vegetable, or oil base. 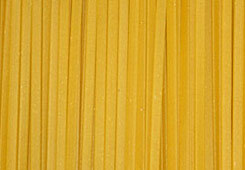 Spaghetti, a staple of traditional Italian cuisine, is one of the most versatile and popular shapes. 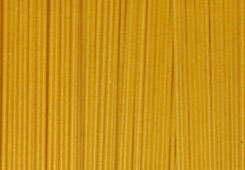 Spaghetti shapes compliment a variety of sauces. 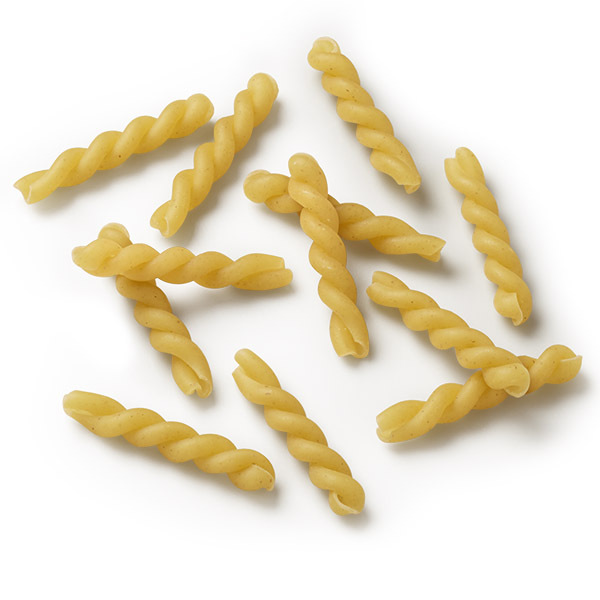 Originally rolled by hand around an umbrella stick, this curly rolled pasta was often left to dry in the warm Italian sun.